Union Tee connects three tubes of equal tube ΦD at a 90° angle. 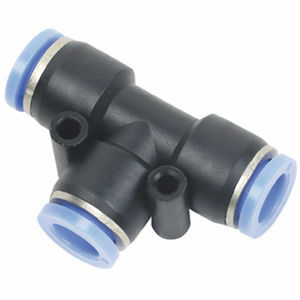 Accommodate metric tubing O.D ranging from 4mm to 16mm, inch tubing O.D ranging from 1/8" to 1/2". Note: M8, M10, M12, M14, M16 and M20 thread are also available. Pls contact with our Sales.